*Due to the unavailability of Jaime Laredo of the Kalichstein-Laredo-Robinson Trio, the program will be performed by Joseph Kalichstein (piano), Bella Hristova (violin), Milena Pajaro-van de Stadt (viola), and Sharon Robinson (cello). To purchase tickets to this event, click on the Kalichstein-Laredo-Robinson Trio event on the Fischer Center website. With his diverse repertoire of works ranging from Bach, Mozart, Beethoven and Brahms to works by Bartok, Prokofiev and others, Mr. Kalichstein has collaborated with such celebrated conductors as Daniel Barenboim, Pierre Boulez, James Conlon, Christoph von Dohnányi, Charles Dutoit, Lawrence Foster, Zubin Mehta, Andre Previn, Leonard Slatkin, Edo de Waart, David Zinman and the late George Szell and Erich Leinsdorf. He has performed with the world’s greatest orchestras, from the Boston and Chicago Symphony Orchestras to the Berlin Philharmonic and the London Symphony, from the NHK and New York Philharmonic to the Cleveland Orchestra. 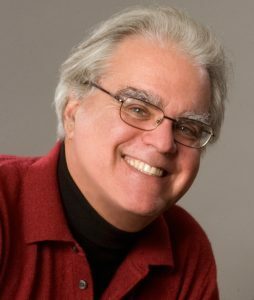 Mr. Kalichstein has also been a frequent guest pianist with the world’s most beloved string quartets, including the Guarneri and Emerson Quartets, with whom he played the Shostakovich Piano Quintet in their Shostakovich Cycles in London and Washington. A favorite of New York concertgoers, Mr. Kalichstein has appeared in several recitals on Carnegie Hall’s “Keyboard Virtuosi” series. His latest CD releases include music of Schumann and Brahms (on Koch International) and of Brahms, Mendelssohn and Schubert (“The Romantic Piano”, on Audiofon). He serves as the Chamber Music Advisor to the Kennedy Center and is the Artistic Director of the Center’s Fortas Chamber Music Concerts. He continues to hold the inaugural Chamber Music Chair at the Juilliard School, where he also teaches a limited number of advanced piano students. Born in Tel Aviv, he came to the United States in 1962. His principal teachers included Joshua Shor in Israel and Edward Steuermann and Ilona Kabos at The Juilliard School. Prior to winning the 1969 Leventritt Award, he had won the Young Concert Artists Auditions, and as a result he gave a heralded New York recital debut, followed by an invitation from Leonard Bernstein to perform Beethoven’s Piano Concerto No. 4 with the New York Philharmonic in a nationally televised concert on CBS. Joseph Kalichstein is a founding member of the famed Kalichstein-Laredo-Robinson Trio, now in their 40th touring season. The Trio continues to play in major music capitals as well as on all the great university concert series. Its most recent recording project is a CD devoted to works that the eminent American composer Ellen Zwilich had written for the Trio, just released on the Azica label. Bridge records has recently released their critically acclaimed 2-CD Schubert Cycle. Winner of the Avery Fisher Recital Award, the Piatigorsky Memorial Award, the Pro Musicis Award, and a GRAMMY Nominee, cellist Sharon Robinson is recognized worldwide as a consummate artist and one of the most outstanding musicians of our time. 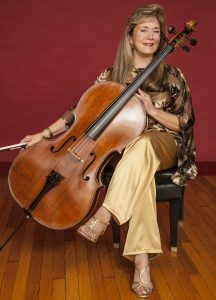 Whether as a recitalist, soloist with orchestra, or member of the world-famous Kalichstein-Laredo-Robinson Trio, critics, audiences and fellow musicians respond to what the Indianapolis Star has called “A cellist who has simply been given the soul of Caruso.” Her guest appearances with orchestras include the Philadelphia and Minnesota Orchestras, the Los Angeles Philharmonic, the Boston, Baltimore, Cincinnati, Dallas, Houston, National, Pittsburgh, St. Louis and San Francisco Symphonies, and in Europe, the London Symphony, Helsinki Philharmonic, Zürich’s Tonhalle Orchestra, and the English, Scottish and Franz Lizst Chamber Orchestras. Sharon Robinson divides her time between teaching, solo engagements, performing with her husband, violinist and conductor Jaime Laredo, and touring with the Kalichstein-Laredo-Robinson Trio. As of fall of 2012, she has started teaching on the renowned instrumental and chamber music faculty of Cleveland Institute of Music. She previously taught at Jacobs School of Music and Indiana University since 2005. Highly sought after for her dynamic master classes, she brings insight to her teaching from the rare combination of her lifetime experiences as member of the Houston Symphony Orchestra, the Ciompi String Quartet of Duke University, the Kalichstein-Laredo-Robinson Trio, plus countless solo recitals and concerto performances. In 2009 Ms Robinson, along with Mr. Laredo, became co-Artistic Director of the famed Linton Chamber Music Series in Cincinnati, Ohio. This important forum gathers musicians from around the globe in combination with soloists and members of the stellar Cincinnati Symphony Orchestra to explore beloved and innovative chamber works. The couple also shares the co-artistic directorship of the Hudson Valley Chamber Music Circle at Bard College and is Artistic Advisors for the Brattleboro Music Center in Vermont. Celebrated for her passionate, powerful performances, beautiful sound, and compelling command of her instrument, violinist Bella Hristova is a young musician with a growing international career. Her 2016-2017 season features extensive concerto, recital, and chamber music performances in the United States and abroad, including performances of a concerto written for her by her husband David Ludwig–a work commissioned by a consortium of eight major orchestras across the US. 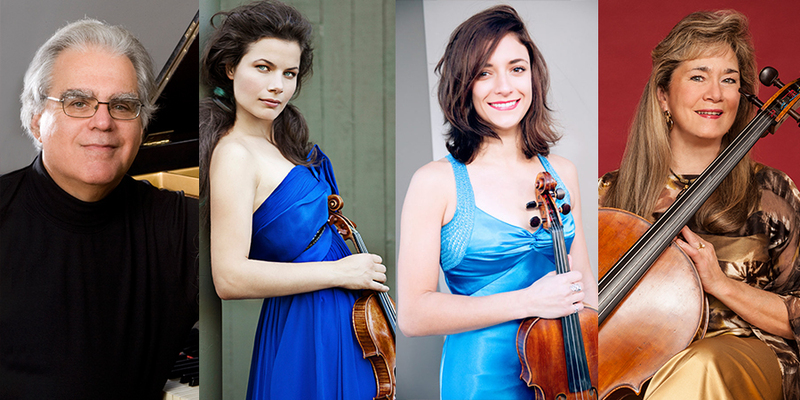 Winner of the 2013 Avery Fisher Career Grant, Hristova is the recipient of First Prizes in the 2009 Young Concert Artists International Auditions and the 2007 Michael Hill International Violin Competition in New Zealand, and was Laureate of the 2006 International Violin Competition of Indianapolis. She has had numerous noteworthy solo appearances with orchestras including a performance alongside Pinchas Zukerman and the Orchestra of St. Luke’s at Lincoln Center, and as soloist with the New York String Orchestra under Jaime Laredo at Carnegie Hall. A sought-after chamber musician, she has been a featured performer at Australia’s Musica Viva, Music@Menlo, Music from Angel Fire, Chamber Music Northwest, the Santa Fe Chamber Music Festival, and Marlboro Music. Her most recent projects include her much-admired recording Bella Unaccompanied (A.W. Tonegold Records) and a commission of Second String Force by iconic American composer Joan Tower. Hristova attended the Curtis Institute of Music, where she worked with Ida Kavafian and Steven Tenenbom, and received her Artist Diploma with Jaime Laredo at Indiana University. Ms. Hristova plays a 1655 Nicolò Amati violin. Praised by The Strad as having “lyricism that stood out…a silky tone and beautiful, supple lines,” violist Milena Pajaro-van de Stadt has already established herself as one of the most sought-after violists of her generation. In addition to appearances as soloist with the Tokyo Philharmonic, the Jacksonville Symphony, and the Sphinx Chamber Orchestra, she has performed in recitals and chamber music concerts throughout the United States, Latin America, and Europe, including an acclaimed 2011 debut recital at London’s Wigmore Hall. Festival appearances include the Marlboro Music School and Festival, Chamber Music Northwest, Bravo!Vail, SummerFest at LaJolla, the Santa Fe Chamber Music Festival, and the Perlman Music Program. Ms. Pajaro-van de Stadt is the founding violist of the Dover Quartet, recipient of the Cleveland Quartet award and First Prize winner and sweeper of every special award at the Banff International String Quartet Competition 2013 and winner of the Gold Medal and Grand Prize in the 2010 Fischoff Chamber Music Competition. Her numerous awards also include First Prize at the Lionel Tertis International Viola Competition and top prizes at the Tokyo International Viola Competition and the Sphinx Competition. To purchase tickets to this event, click on the KLR Trio event on the Fischer Center website.